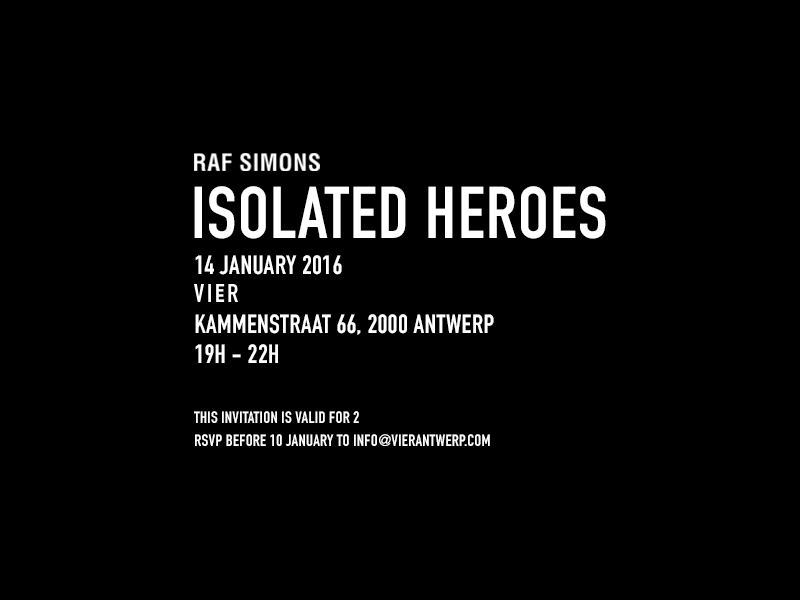 The launch of the Raf Simons 'Isolated Heroes' collection at VIER Antwerp. Named after the iconic book with photographer David Sims, published in January 2000. 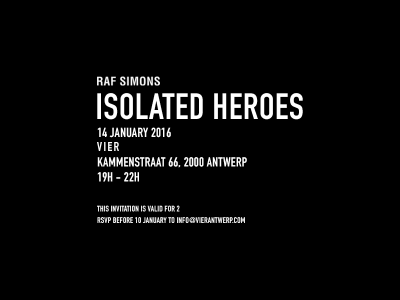 Photographed in July 1999, The project Isolated Heroes is a series of photographs by British photographer David Sims in collaboration with Raf Simons, featuring a selection of Raf Simons models, dressed in outfits from the Raf Simons SpringSummer 2000 collection, with hair by Guido and make up by Peter Philips. Each boy is credited with serial number and his own first name. Isolated Heroes collection consists of 5 styles. Each style has its portrait of an isolated hero.